Tim and his team did a great job on our Party Fowl locations. We would recommend them to anyone. They have fair pricing, work quickly, stand by their work, and are honest. 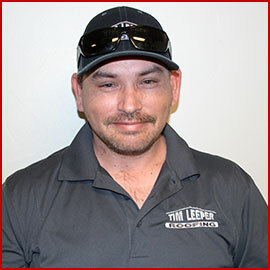 You have yourself a long time customer Tim! Got up Friday morning and found that my roof had started leaking and coming into the house. Due to a doctor’s appointment I couldn’t call until mid-day they told me they could come out Saturday around 10:30 am . A Mr. Scott Hall came out, a very friendly and professional man, he took some measurements then went up on the roof. He found were a nail had backed out over the spot of the water stain on my bedroom ceiling and also found 2 other nails that had backed out. He removed the nails and patched the areas. Now here’s the amazing part there was no charge. You don’t find customer service like this anymore. 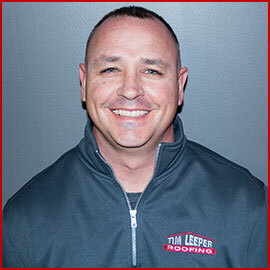 When it comes time for a new roof or a major repair the only roofing company I’ll call is Tim Leeper roofing. 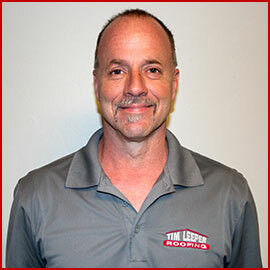 My roof recently sprung a small leak and I called Tim Leeper Roofing. Jimmy Schutt came and checked it out. He told me that the likely culprit was a misplaced nail in a shingle. There were two ways to fix the problem: the easy way and the hard way. The easy way was to put sealant on the nail and hope for the best. The hard way was to redo a section of shingles on the roof – this would probably cost around $700. We went with the easy way. HE CHARGED ME NOTHING. Three weeks and two big storms later, no more leaks. 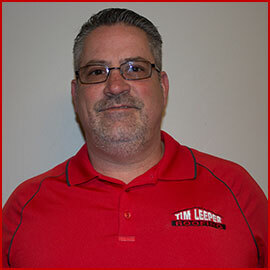 If I have any further problems with my roof, I’m going to call Tim Leeper Roofing and ask for Jimmy. 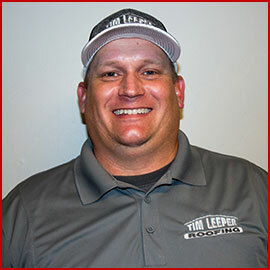 Tim Leeper Roofing is the real deal. 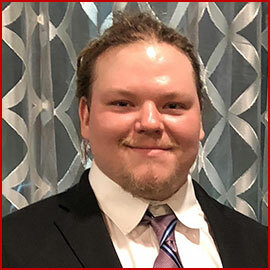 I contacted them about replacing a roof on our community club house and Josh called back and scheduled a same day inspection and estimate. Upon arrival, we discussed my concerns and Josh informed me that the roof was in pretty good condition and probably had another 2-3 years of life left in it. I apologized for wasting his time and he promptly informed me they were happy I called because they offer free inspections. It’s refreshing to see such an honest and noble company. When the time comes to replace our roof, they’ve definitely earned our business! Nickey did a great job repairing my chimney cap. After getting quotes from other roofers, I appreciated his honesty about the work needing to be done. I also appreciate him working with a very tight turnaround not too mention a very steep roof. Thanks! 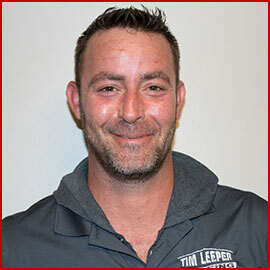 Tim Leeper came recommended to me through a friend so they were the only company I called replace my fascia / gutters. The fascia was rotted and infested with wasps. They were super friendly and professional. They gave me honest answers to any questions I had regarding the work I needed done as well as other work I was looking at getting done. David did a great job getting everything done to my satisfaction. They will still be the first company I call for any roofing or general contracting work I need done in the future.